It’s that time of year again! Between the months of May and June, a unique and wonderful phenomenon will take place here at nature’s favorite entrance to Yellowstone National Park—baby animals will soon be arriving! Gardiner and the Northern Range will become a vibrant and playful place of tumbling bear cubs, leaping bighorn lambs, and bucking bison calves, just to name a few. To celebrate, we’ve rounded up images of some of the most popular spring babies in Gardiner and Yellowstone, along with when you can expect their arrival and tips on where to spot them. Bison calves are one of the first youngsters to make an appearance along the green hills of the Northern Range. Possibly the most iconic of all Yellowstone’s little ones, bison calves were once thought to resemble cocker spaniels by early park visitors and were given the name “red dogs” for their rust-colored coats. The name has stuck! Red dogs are best spotted near the North Entrance around Gardiner, Montana, and in the Lamar, Madison River, and Hayden valleys in Yellowstone. Born in May and June, bighorn lambs are both adorable and talented climbers. Look for them engaging in playful fights on the cliffs in the Tower area, the Gardner Canyon near the North Entrance in Gardiner, Montana, and along the Yellowstone River near Calcite Springs on the Yellowstone Northern Range. Black and grizzly bear cubs are born in mid-January and early February but won’t emerge from their dens for another two months while they nurse and sleep. Black bear cubs are most commonly seen starting in May in the Mammoth and Tower areas, while grizzly bear cubs might be spotted between Norris and Canyon, Yellowstone Lake, Hayden Valley, and Swan Lake Flats. Not sure how to tell the difference between the two? Here’s an explanation from the Yellowstone National Park Service. Elk calves arrive a little later in the season, in May and June. The spotted youngsters have very little scent at birth, and therefore spend most of their time bedded down, fiercely protected by their mothers. 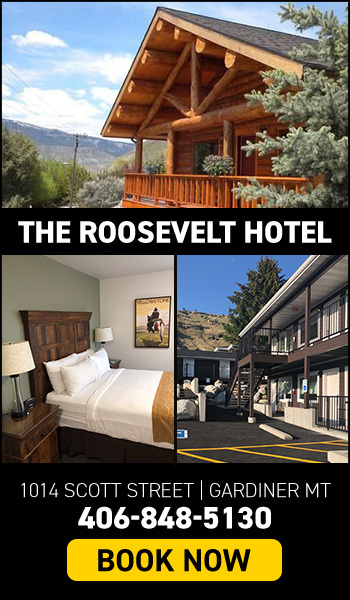 You can find them in the Mammoth area, along the Northern Range, right in town in Gardiner, Montana, and in Paradise Valley just north of Gardiner. Pronghorn fawns arrive on the scene in May or June—usually as a set of twins. As natural sprinters, baby pronghorn can walk within 30 minutes of birth and can outrun a human within a couple days. Keep an eye out for pronghorn nursery herds—a group of several females and their youngsters—in the Lamar Valley and near the North Entrance in Gardiner, Montana. 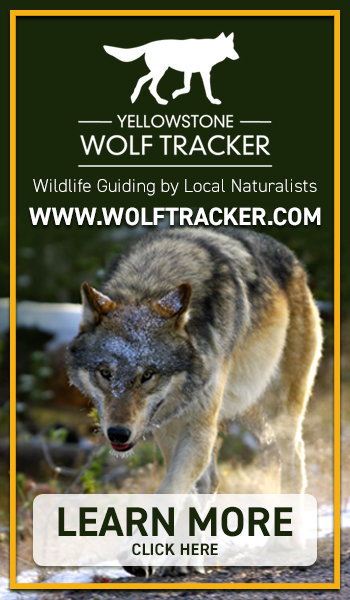 Yellowstone’s Northern Range is arguably one of the best places in the world to watch wolves. Female wolves give birth to an average of five pups in April in their dens. Packs will remain at the den for 3-10 weeks after birth; the pups will typically emerge at 10-14 days old. Look for them all along the Northern Range, such as Slough Creek and in the Lamar Valley. And with that, it’s time to grab the big lens, practice safe wildlife viewing, and don’t be too embarrassed if—while standing in a crowd of about 30 other visitors—that cliché' sentiment, “Awwww….look at the baby!” comes tumbling out of your mouth. It’s happened before. And really, everyone gets it. 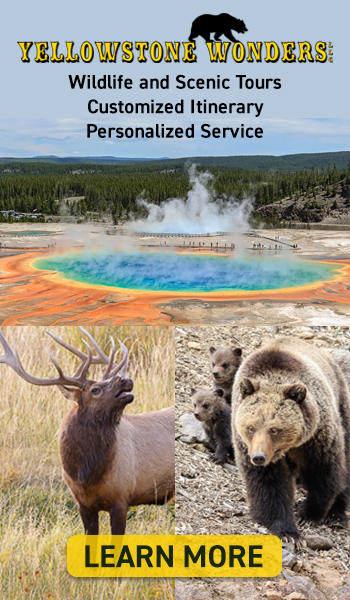 All photos courtesy of the Yellowstone National Park Service.